Our volunteers come to serve. They stay because they receive more than they ever imagined. Our volunteers are the cornerstone of our program. Their dedication, enthusiasm and commitment make it possible to serve approximately 1,000people with special needs and challenges annually. Each week nearly 250 volunteers come to the farm to work with our horses and support our students. They give with their whole hearts and make meaningful connections. Our volunteers are all ages and all experience levels. Some are teenagers who are earning service hours and supporting their community. Others are retired teachers, social workers or neighbors looking to give back. And some are lifelong horse people who feel the calling to help people understand how the bond between a horse and a human can change a life. We train all of our volunteers so no experience is necessary. There are many ways in which our volunteers get involved. 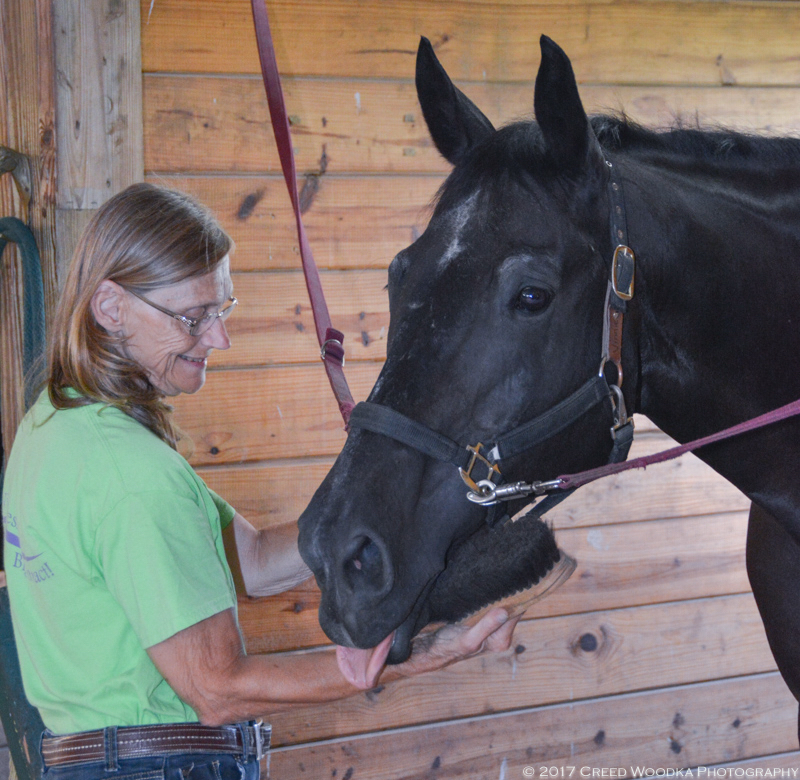 Tack up horses before riding lessons as well as assist in harnessing horses for our carriage driving classes. Lead horses during riding lessons. and extra support for our students. 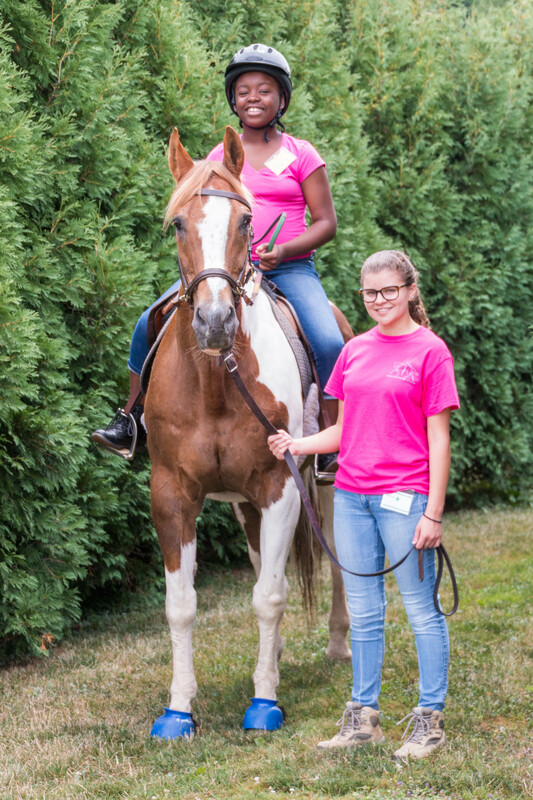 Work with our students and campers in our classrooms and barn, helping them learn about horses and participate in horse-related educational activities. If you are interested in volunteering, click here to fill out an application. 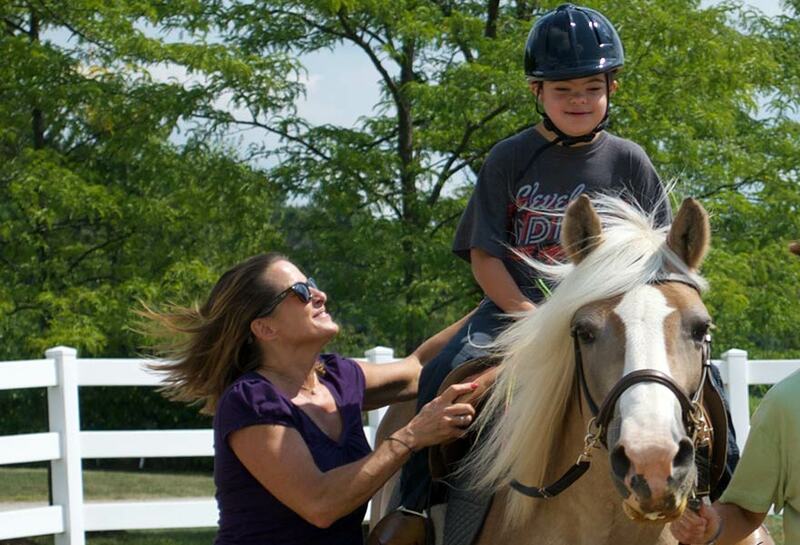 We frequently have a waiting list of volunteers for our riding lesson program, but we invite you to begin the application process. Please click here for application information or click here to find out ways to volunteer. Volunteering has impacted the lives of many of our volunteers. Click here to read their stories.